This tutorial explains the process of reassigning compact cases and activities. 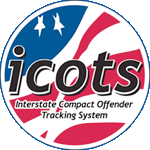 Supervisors and Compact Office Users have the ability to reassign cases and forward Compact Activities in ICOTS. Reassigning takes place when a Supervisor User reassigns cases to a subordinate PO User or assign to him or herself. The Reassigning Cases Guide contains instructions for Supervisors and Compact Office Users to reassign cases and forward compact activities within ICOTS. Wonder if we could please get this link fixed. I'd love to have this tutorial.